A respected geologist in Germany, Dr. Engelbrecht formerly worked as a supervisor for diploma students in the geosciences at Ludwig Maximilians University from 1986 to 1992. 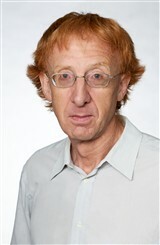 A writer and researcher in the field, he also served the university as an affiliate in the geosciences from 1985 to 1996. Dr. Engelbrecht is credited as the organizer of the first online referential literature database in Germany about environmental geology and ecology, as well as a contributor to the first formulation of the necessity to create the National Geopark Northern Calcareous Alps and the conception of parental and filial geotopes in Germany. Among his other notably achievements, Dr. Engelbrecht is renowned for contributing to the first complete geological survey and mapping of the geotope Farma Valley in southern Tuscany in Italy. A contributor of several articles to professional journals, Dr. Engelbrecht earned a diploma in 1985 and a doctorate in 1997 from Ludwig Maximilians University He is the author of the book “Geldgebet” and was a contributor to “Menschliches Versagen,” published in 2008. A member of the Deutsches Museum in Munich, he is further affiliated with the Central European section of the SEPM Society for Sedimentary Geology, the German Society for Geosciences, and the Bavarian State Library, of which he served as a patron. A scholar of the Hanns Seidel Foundation from 1986 to 1989, Dr. Engelbrecht has been selected for inclusion into several editions of Who’s Who in Science and Engineering and Who’s Who in the World. Married to Helga Pfoertner, he enjoys long distance running and mountain climbing in his spare time.